We take efforts to stay cool during the summer heat, like drinking cold beverages and eating ice creams, staying in the shade, and taking a dip in the pool if you’re lucky. But it’s not just ourselves we should worry about. Did you know that your garage door opener is also at risk of overheating when the weather warms up? Especially with heavy use. Read on to find out more about this problem and how to prevent it from happening. How can garage door openers overheat? If you repeatedly open and close your garage door within a short period of time, the mechanisms inside the garage door opener can become overworked and start to heat up. This can happen at any time with excessive use or if there is a fault within the opener, but it is much more likely to happen when the weather is hot. The temperature and the usage combine to cause the opener to overheat more quickly. What can happen when they overheat? Most garage door openers now have an automatic thermal overload feature. This means that it will automatically shut off when it starts to get too hot, allow itself some time to cool down, and then reset itself, returning to its proper functionality. In this case, you should be able to continue using your garage door as normal, being careful not to overwork it. If the problem is more serious, i.e. if the overheating is being caused by a fault within the opener, then you may start to see smoke coming from the garage door opener as a result of overheating. In this case, you should deactivate your garage door opener and call a professional technician to examine it. If you need to operate your garage door in the meantime, you should do so manually. It is a good idea to leave your garage door open in order to let the smoke pass. The best way to prevent your garage door opener from overheating during summer is to reduce usage during the hottest hours. If you’re working in the garage, then it will be better to keep the door closed if possible and have some method of cooling or ventilation within the garage. If you have to open and close the door repeatedly for maintenance or inspections, then it’s better to arrange this for early morning or later in the evening when it is cooler. Regularly maintaining your garage door and its opener can also help to prevent overheating and other faults than could lead to this. 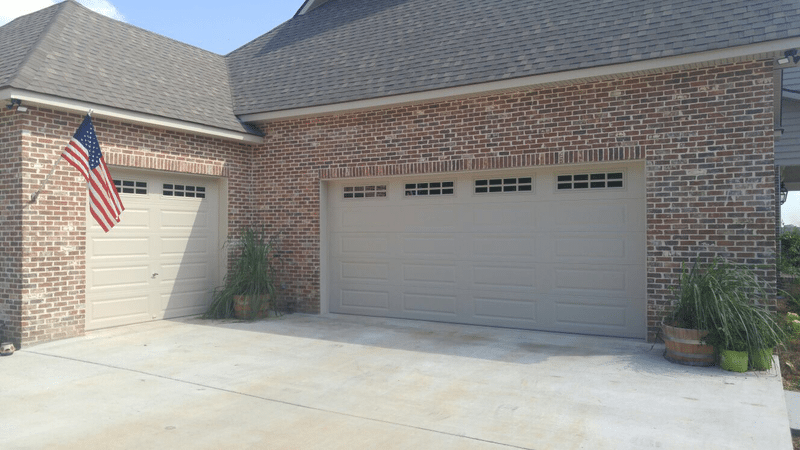 You should schedule a regular garage door tune up to make sure everything is in good shape. Contact us at Carolina Garage Door if you’re in need of a tune up in the Piedmont Triad area, including Winston Salem, Greensboro, High Point, and Kernersville.